Start testing your candidates in minutes. Search the HR Avatar test catalog by job title to find the test designed specifically for the job. Click to send a "Start the Test" link to the candidate by email or text. Review the test results. We'll notify you by text or email when it's ready. The HR Avatar Test Results Report is stored in your account within a few minutes after the candidate completes the test. The report includes summary, detail, interview guide, and notes sections. Plus, you'll get expert questions to help you probe specific competencies in a follow-up interview. What does the candidate get? More than 80% of our test-takers say our tests are engaging, realistic, and fun! Candidates are immersed in job-related scenarios to test their abilities, such as handling an irritated customer, or checking a medical form for accuracy. Most tests take about 40 minutes to complete. Each HR Avatar test is designed for a specific job and is configured to measure the factors that contribute most to success on that job. The specific competencies and their relative importance are determined through research embodied in the US Government's Occupational Information Network dataset. Many legacy tests provide only a part of the picture by focusing on a single dimension of a candidate, such as personality (job fit), intelligence or skills. Our tests avoid this weakness by measuring a full range of factors, including cognitive ability, personality factors, knowledge, skills, and past work behaviors. HR Avatar's tests are animated, with both an animated host who guides the candidate through the process, and sections that simulate actual workplace situations. As a result, candidates enjoy the test more than text-based assessments and find it more like a real job. Sign up online and get 2 free tests. There's no set-up fee. No credit card required. No sales call required (but feel free to call us). You can literally start testing in a couple minutes. After your trial, simply purchase credits to your account to continue testing on an as needed basis. Choose the pack that is right for you. 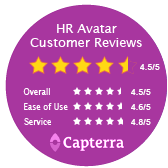 HR Avatar credits can be used toward any HR Avatar testing product. Credits are non-refundable and expire 12 months from the date of purchase. There is no minimum purchase. Need to test a lot of candidates? Subscription-based pricing is now available. Please call us at 703-688-3981 or use our online contact form.